Factory resetting a smartphone allows users to start afresh with their smartphone or tablet. This can also used by thieves to their advantage. However, with Android Lollipop, Google has implemented a new feature which requires a passcode every time you want to factory reset your phone. 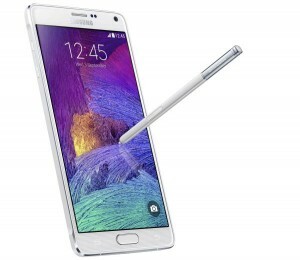 The Sprint version of the Samsung Galaxy Note 4 is getting this update today, making the handset more secure. The Android version doesn’t change though, so don’t expect a bump to Android 5.1 just yet. The software version will change to N910PVPU2BOE1 post the update, so make a note of that if you’re expecting to see it on your Galaxy Note 4. The carrier has started the rollout of the update immediately, although it might take a few days for all devices to get it. If you’re not seeing it right away, try heading over to the Settings and check for an update there. Rest assured, the update should arrive on your smartphone by the weekend. Already seeing the update? Make sure you drop your feedback below.